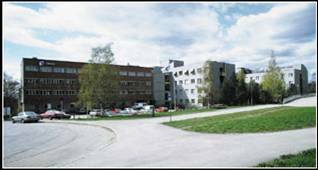 The workshop will be held at SINTEF, Oslo. The workshop location is 10 minutes by the city tram or subway from downtown Oslo, and one hour by bus from the Oslo airport. SINTEF is the largest independent research organisation in Scandinavia. It is a broadly based, multidisciplinary research concern that possesses international top-level expertise in technology, medicine and the social sciences. Every year SINTEF perform more than 7000 research projects for some 2000 clients. The main SINTEF locations are Oslo and Trondheim. SINTEF has clients in about 60 different countries. About 40 percent of our international turnover comes from the EU’s research programmes, in which SINTEF is a leading participant.